Most of us are aware that Greek has two words that are usually translated into our English word “time”. Chronos, χρόνος, is where we get “chronology”. It marks the successive aspect of and measurement of time. Kairos, καιρός, is also translated “time”, but contains a sense of an opportune moment or occasion, such as “make the most of your time”, or “taking advantage of the opportunity”. I’ve been talking these last few weeks about the many important priorities we have going on at this time of the year. During these weeks, we aren’t just counting down the chronos time. These are kairos moments. And we are keeping spring, summer, and fall emphases in mind all at the same time. Last week, I focused on sending seniors well (spring), and the week before on passing the baton (fall). In today’s tip, let’s look at some summer options. 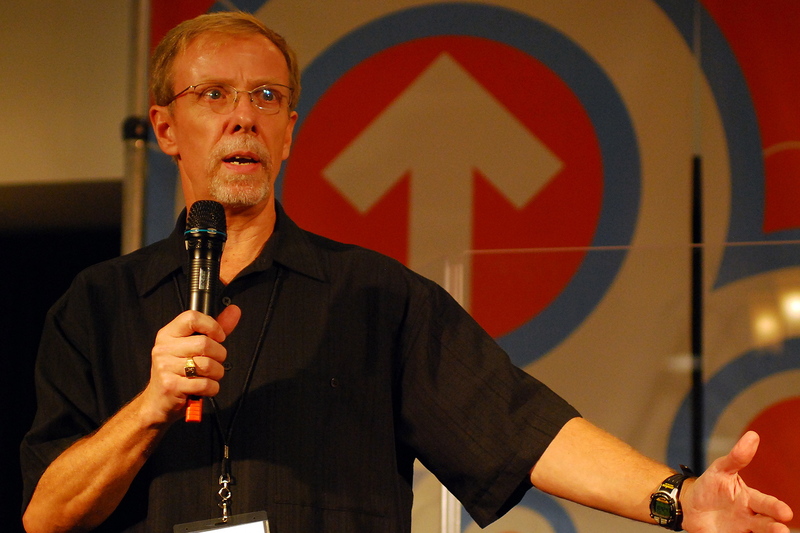 For years, we had a specific focus on summer survival for students not attending a summer mission. Some of us would hand students several pages of information about time with God, fellowship, and personal discipline. While this material is dated and there are other ways to meet these needs, some find that some of the material is still helpful. For most of us, Summer Connect is a great way to help students grow over the summer and come back to campus in the fall with an anticipation of what God will do in and through them. Here is the promo video if you need it. 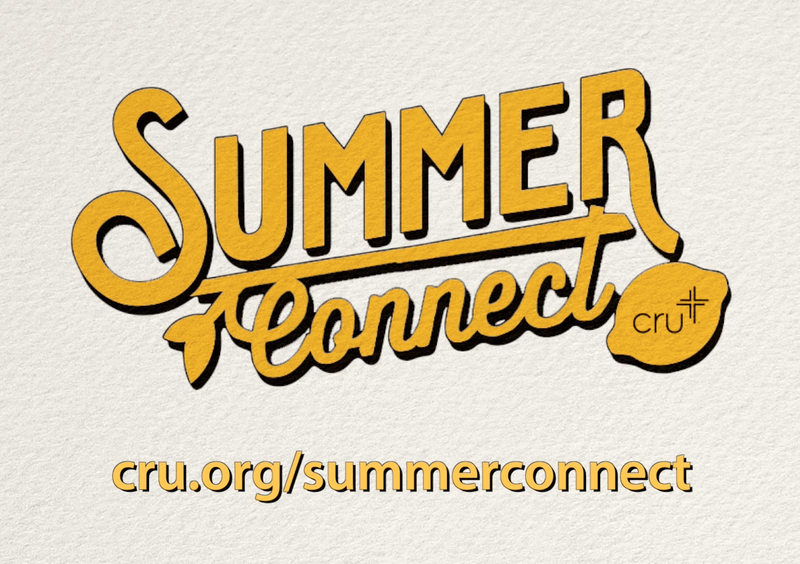 This is where to register: Cru.org/summerconnect. And this is the process for joining Summer Connect. Some of your students may be interested in putting their faith into action in a more specific way. One way is to consider ministering to high school students back home. Our high school ministry offers several ministry ideas with that in mind. High school students often look up to college students and that could be a great way for them to pass on some of the training they received from you this year. And finally, you may be aware that InterVarsity and Cru are teaming up on a project to see a ministry launched on every campus in the country. The first critical piece in that endeavor is to prayer walk campuses with a view to seeing what God is already doing and whom He has prepared to reach their campus. The EveryCampus project will officially launch this Christmas. But our Prayer team, headed by Dave and Courtnee White, said that 340 campuses have already been prayer walked. If you have students who would be up for prayer walking a nearby campus, they can go to the EveryCampus.us site, indicate the campus, and post their story and pics to Instagram. As you meet with students and prepare them for the summer in these and other ways, you may be creating kairos that may have far-reaching impacts. This entry was posted in Coaching, Devotional life, Discipleship, Evangelism, High school students, Leadership, Seasonal on April 22, 2018 by Gilbert Kingsley.